Genome analysis is used to predict the level of disease risk in healthy individuals. Genome sequencing can predict the risk of developing diseases brought on by a single gene defect, but these defects only account for five percent of common diseases. Most diseases are polygenic or are brought on by environmental factors; genome sequencing cannot predict the risk of acquiring these diseases. Genome sequencing is becoming more reliable, but many scientists still question if it reduces the risk of death from certain diseases such as prostate cancer. The introduction of DNA sequencing and whole genome sequencing projects, particularly the Human Genome project, has expanded the applicability of DNA sequence information. Genomics is now being used in a wide variety of fields, such as metagenomics, pharmacogenomics, and mitochondrial genomics. The most commonly-known application of genomics is to understand and find cures for diseases. Predicting the risk of disease involves screening currently-healthy individuals by genome analysis at the individual level. Intervention with lifestyle changes and drugs can be recommended before disease onset. However, this approach is most applicable when the problem resides within a single gene defect. Such defects only account for approximately five percent of diseases in developed countries. Most of the common diseases, such as heart disease, are multi-factored or polygenic, which is a phenotypic characteristic that involves two or more genes interacting with environmental factors such as diet. In April 2010, scientists at Stanford University published the genome analysis of a healthy individual (Stephen Quake, a scientist at Stanford University, who had his genome sequenced); the analysis predicted his propensity to acquire various diseases. A risk assessment was performed to analyze Quake’s percentage of risk for 55 different medical conditions. A rare genetic mutation was found, which showed him to be at risk for sudden heart attack. He was also predicted to have a 23 percent risk of developing prostate cancer and a 1.4 percent risk of developing Alzheimer’s. The scientists used databases and several publications to analyze the genomic data. Even though genomic sequencing is becoming more affordable and analytical tools are becoming more reliable, ethical issues surrounding genomic analysis at a population level remain to be addressed. In 2011, the United States Preventative Services Task Force recommended against using the PSA test to screen healthy men for prostate cancer. Their recommendation was based on evidence that screening does not reduce the risk of death from prostate cancer. Prostate cancer often develops very slowly and does not cause problems, while the cancer treatment can have severe side effects. The PCA3 test is considered to be more accurate, but screening may still result in men suffering side effects from treatment who would not have been harmed by the cancer itself. PCA3: PCA3 is a gene that is expressed in prostate epithelial cells and overexpressed in cancerous cells. A high concentration of PCA3 in urine is indicative of prostate cancer. The effectiveness and safety of drugs can be determined through pharmacogenomics. Pharmacogenomics involves evaluating the effectiveness and safety of drugs on the basis of information from an individual’s genomic sequence. Genomic responses to drugs can be studied using experimental animals or live cells in the laboratory, which help indicate the potentially toxic effects of a drug. Personal genome sequence information can be used to prescribe medications that will be most effective and least toxic on an individual level. Metagenomics, the study of the collective genomes of multiple species that grow and interact in an environmental niche, is often a better way to study microrganisms rather than pure culture. Pharmacogenomics, also called toxicogenomics, involves evaluating the effectiveness and safety of drugs on the basis of information from an individual’s genomic sequence. Genomic responses to drugs can be studied using experimental animals (such as laboratory rats or mice) or live cells in the laboratory before embarking on studies with humans. Studying changes in gene expression could provide information about the transcription profile in the presence of the drug, which can be used as an early indicator of the potential for toxic effects. For example, genes involved in cellular growth and controlled cell death, when disturbed, could lead to the growth of cancerous cells. Genome-wide studies can also help to find new genes involved in drug toxicity. Personal genome sequence information can be used to prescribe medications that will be most effective and least toxic on the basis of the individual patient’s genotype. The gene signatures may not be completely accurate, but can be tested further before pathologic symptoms arise. Traditionally, microbiology has been taught with the view that microorganisms are best studied under pure culture conditions, which involves isolating a single type of cell and culturing it in the laboratory. Because microorganisms can go through several generations in a matter of hours, their gene expression profiles adapt to the new laboratory environment very quickly. In addition, the vast majority of bacterial species resist being cultured in isolation. Most microorganisms do not live as isolated entities, but in microbial communities known as biofilms. For all of these reasons, pure culture is not always the best way to study microorganisms. Metagenomics is the study of the collective genomes of multiple species that grow and interact in an environmental niche. Metagenomics can be used to identify new species more rapidly and to analyze the effect of pollutants on the environment. 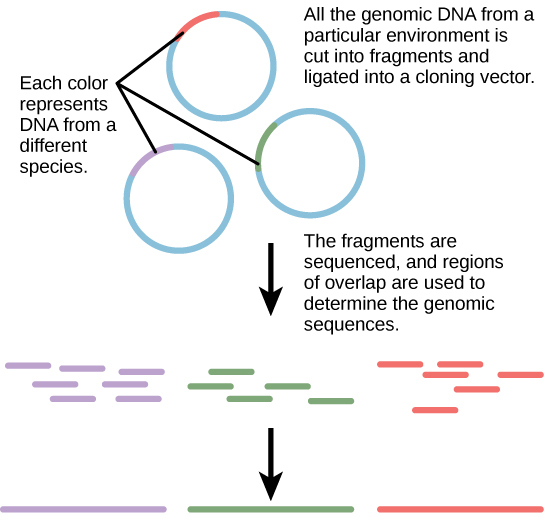 Metagenomics: Metagenomics involves isolating DNA from multiple species within an environmental niche. Microbial genomics can be used to create new biofuels. Microorganisms can encode new enzymes and produce new organic compounds that can be used as biofuels. Genomic analysis of the fungus Pichia will allow optimization of its use in fermenting ethanol fuels. Analysis of the microbes in the hindgut of termites have found 500 genes that may be useful in enzymatic destruction of cellulose. Genetic markers have been used in forensic analysis, like in 2001 when the FBI used microbial genomics to determine a specific strain of anthrax that was found in several pieces of mail. Genomics is used in agriculture to develop plants with more desirable traits, such as drought and disease resistance. Knowledge of the genomics of microorganisms is being used to find better ways to harness biofuels from algae and cyanobacteria. The primary sources of fuel today are coal, oil, wood, and other plant products, such as ethanol. Although plants are renewable resources, there is still a need to find more alternative renewable sources of energy to meet our population ‘s energy demands. The microbial world is one of the largest resources for genes that encode new enzymes and produce new organic compounds, and it remains largely untapped. For microbial biomass breakdown, many candidates have already been identified. These include Clostridia species for their ability to degrade cellulose, and fungi that express genes associated with the decomposition of the most recalcitrant features of the plant cell wall, lignin, the phenolic “glue” that imbues the plant with structural integrity and pest resistance. The white rot fungus Phanerochaete chrysosporium produces unique extracellular oxidative enzymes that effectively degrade lignin by gaining access through the protective matrix surrounding the cellulose microfibrils of plant cell walls. Another fungus, the yeast Pichia stipitis, ferments the five-carbon “wood sugar” xylose abundant in hardwoods and agricultural harvest residue. Pichia‘s recently-sequenced genome has revealed insights into the metabolic pathways responsible for this process, guiding efforts to optimize this capability in commercial production strains. 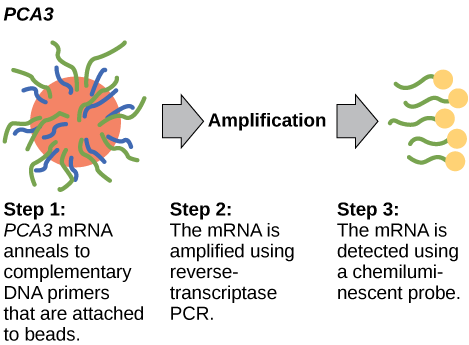 Pathway engineering promises to produce a wider variety of organisms able to ferment the full repertoire of sugars derived from cellulose and hemicellulose and tolerate higher ethanol concentrations to optimize fuel yields. 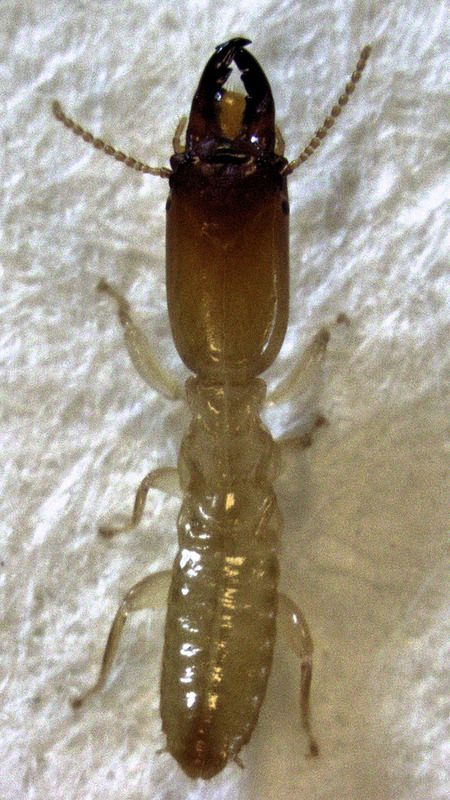 For instance, the hindgut contents of nature’s own bioreactor, the termite, has yielded more than 500 genes related to the enzymatic deconstruction of cellulose and hemicellulose. Termites: Nature’s Bioreactors: The hindgut of the termite has yielded more than 500 genes of microbes related to the enzymatic deconstruction of cellulose.